Is there anything more magic than free books? Not in my humble opinion. 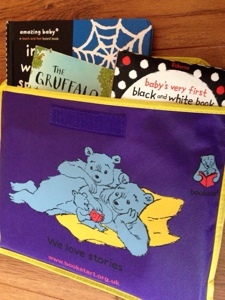 Bookstart packs are given to all babies and nursery age children in the UK by the charity Booktrust. Booktrust are committed to helping inspire young readers as well as helping parents to help their children. We picked up out first pack last weekend at our local library, or if you are lucky your health visitor will bring your Bookstart pack to you! 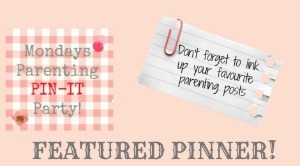 The pack has two board books for babies and a helpful magazine for parents which talks about how Babies Love Books! The wonderful illustrations of babies and children sharing books with their adults and older siblings show just how important reading and books are in the lives of children and how they help children succeed in life. The magazine also includes a £1 book token which can be redeemed at book shops up and down the country. At the back of the magazine is a list of some recommended books to discover with your baby either in the library or at the bookshop with your token. I would back up the recommendation of I Like Books by Anthony Browne who has written a wonderful back catalogue of children's books and is a previous Children's Laureate. 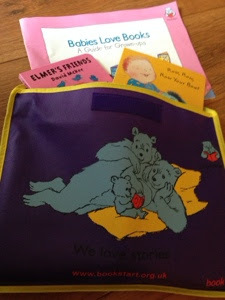 We are now using L's Bookstart pack as her library bag so I don't lose her library books. It also makes them easy to chuck in the pushchair basket on our trips to the local library. If you haven't picked up your Bookstart pack I urge you to call into your local library and ask the usually friendly people there for your child's first pack. The second should be given out at your child's nursery when they start so don't be afraid to ask them there for the pack either. And enjoy your free books! Magic. They've stopped doing them in are area due to funding gutted . 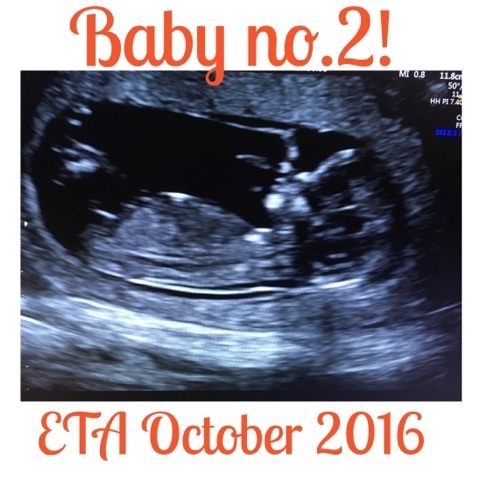 We got are 8 month pack but missed out on 2 year one ! Shame as my little miss loves books !! Oh no how very sad. I would certainly check out the Booktrust website for lots of information and recommended books for your little miss. Completly agree, nothing better than childrens books and even better if they are free. I'll have to investigate how we get them in our area and I also need to get my little girl a library card. Thanks for the reminder! Happy to help get another baby a library card! Ask at the library, they are happy to help and advise usually. It is lovely to start building children's libraries at home early and great to hear they are still in yours now. we so loved our pack!! Joshua is now obsessed with books and thats fine with me! Good! I really hope L grows up loving books the way I did. I really want to encourage her as much as I can without forcing books on her!